Centerpiece kit uses a 6" x 7.5" goblet bowl, floating rose and bead garland. 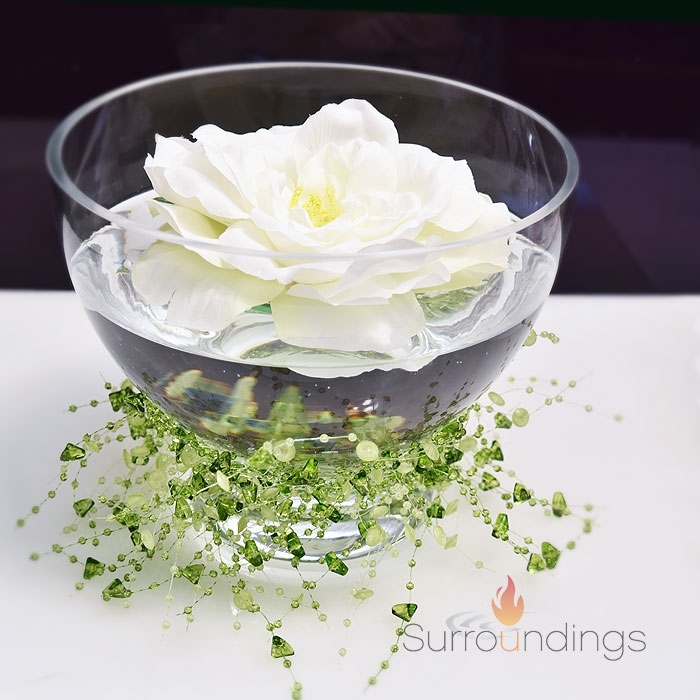 Beautiful 5.5", white faux floating rose rests on water. 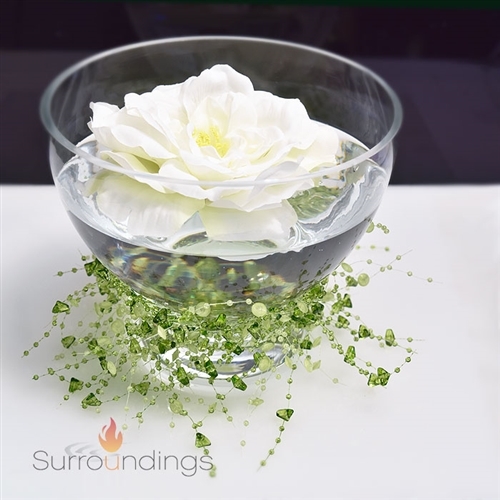 Bead garland is available in several colors.